Did you know that you can use essential oils for cleaning bathroom? It’s a dirty job, but someone’s got to do it! For example, to make a do it yourself hand soap at the home, place 10 to 15 drops of your essential oil along with a couple of tablespoons of water and soap inside a dispenser that foams for your very own affordable and non toxic hand soap. To make a quick air freshener, place a couple of drops of lemon essential oil inside the toilet roll so you can have your instant air freshener whenever you roll it. You can also use it as a toilet cleaner by dropping a couple of pine essential oil inside the toilet bowl with soap, baking soda, and vinegar. Afterwards, scrub the toilet bowl to keep it squeaky clean. Lastly, you can make it as a toilet spray by placing 30 drops of essential oil inside a spray bottle with a medium side. Fill this with water and shake. These are the best essential oil combinations for cleaning that can make your home shine. 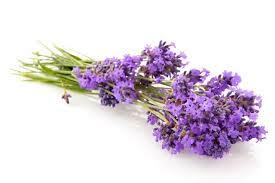 If you want to make an all purpose cleaning spray, mix equal parts lavender essential oil and lemon essential oil. For glass cleaning or an all purpose spray, mix equal parts of eucalyptus essential oil, peppermint essential oil, and orange essential oil. As a bathtub scrub or an all purpose spray as well, mix equal parts of cinnamon essential oil, clove essential oil and lavender essential oil or just orange essential oil. Lastly, you can also mix lemon essential oil, lemongrass essential oil, and tea tree essential oil. You can choose from these top essential oils for cleaning recipes. First, use lemon essential oil. Mix 2 cups of white vinegar, 2 cups of water, a teaspoon of natural dish soap, and 30 drops of lemon essential oil inside spray bottle. Shake this to mix well. After, spray this and wipe it on the cabinets, counters, toilets, sinks, and everywhere else that needs cleaning. Next, you can use peppermint essential oil. Inside a spray bottle, mix 20 drops of peppermint essential oil, 3 cups of distilled water, 1/4 cup of vodka or rubbing alcohol, and 1/4 cup of vinegar. Shake to mix well and spray on your windows, mirrors, or stainless steel. Wipe this off with old newspaper or paper towels for a shine that is streak free. After, you can use a combination of lemon essential oil, lime essential oil, and orange essential oil. Mix a cup of baking soda, 1/4 cup of liquid castile soap, 10 drops of lemon essential oil, 10 drops of lime essential oil, and 10 drops of wild orange essential oil so it can create a paste. Apply this to a sponge or rage. Rinse this out using clean water. This is best used on grimy sinks and the stovetop. Artizen Peppermint Essential Oil (100% PURE & NATURAL - UNDILUTED) Therapeutic Grade - Huge 1oz Bottle - Perfect for Aromatherapy, Relaxation, Repel Mice & Pests, & More!